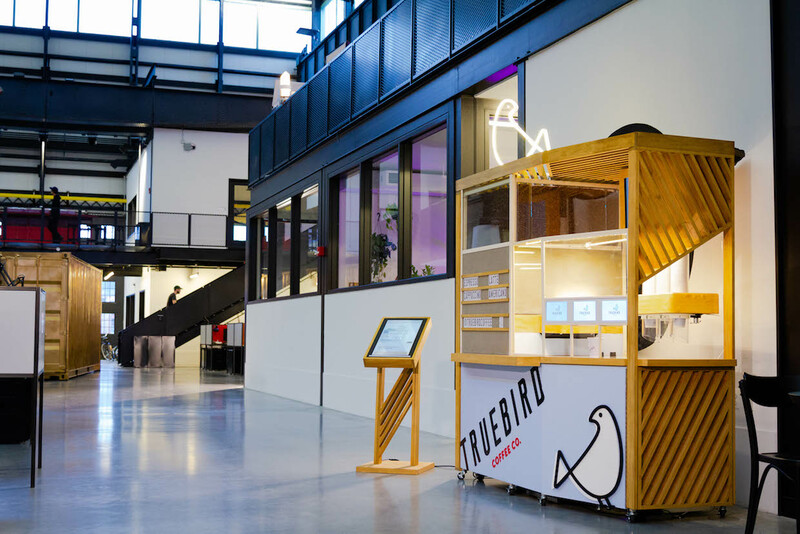 The first Truebird kiosk at the New Lab business incubator in Brooklyn, New York. All photos courtesy of Truebird. 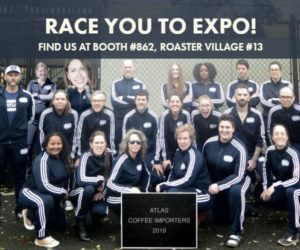 As specialty coffee robots created by California’s Cafe X and Texas-based Briggo continue their forward, automated marches, a question has remained: Could the surly and spirited humans of old New York embrace a joe by droid? A new company called Truebird has fluttered in to find out. 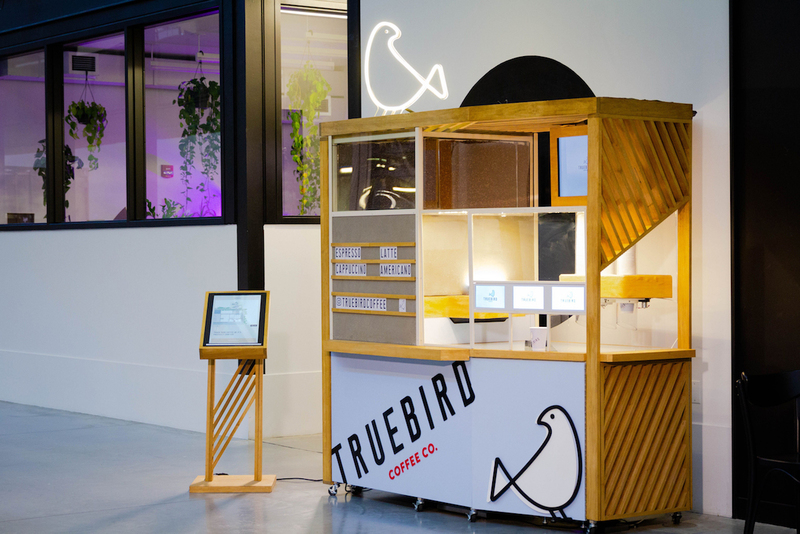 At a Truebird coffee station, customers are able to choose a fresh and locally roasted coffee from a touchscreen menu, then designate a type of milk and an espresso beverage style for the machine to execute. Milk options currently include a whole milk sourced from an upstate New York dairy, and oat milk by Minor Figures. Feuerstein’s executive and leadership background includes two successful previous start-ups. The first, Site59, was sold to Travelocity for $43 million in 2002. The second, a data science and media company called Intent, remains a profitable, 120-person company in New York City. 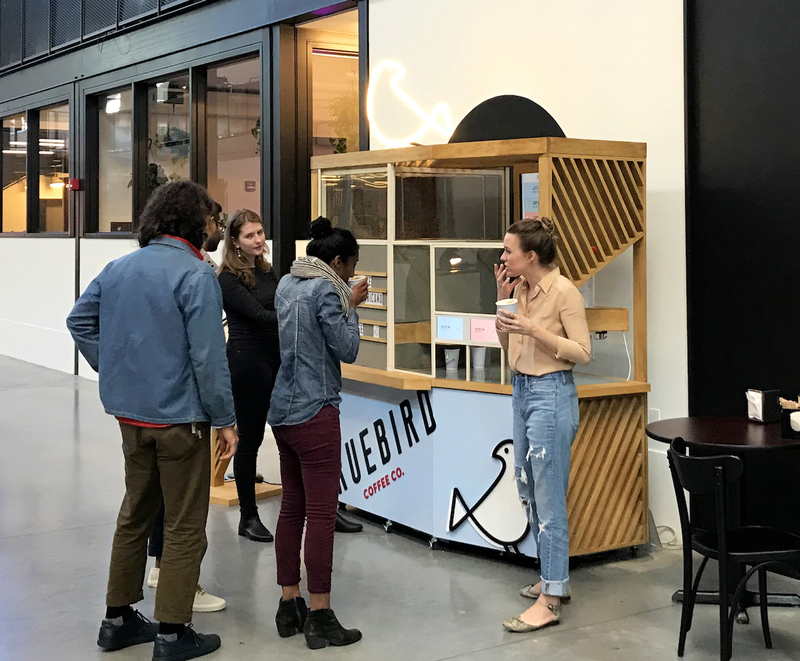 Feuerstein told DCN that the first Truebird “micro-cafe” was designed and assembled at the company’s office at New Lab in Brooklyn, then tested for a period of three months starting last November. 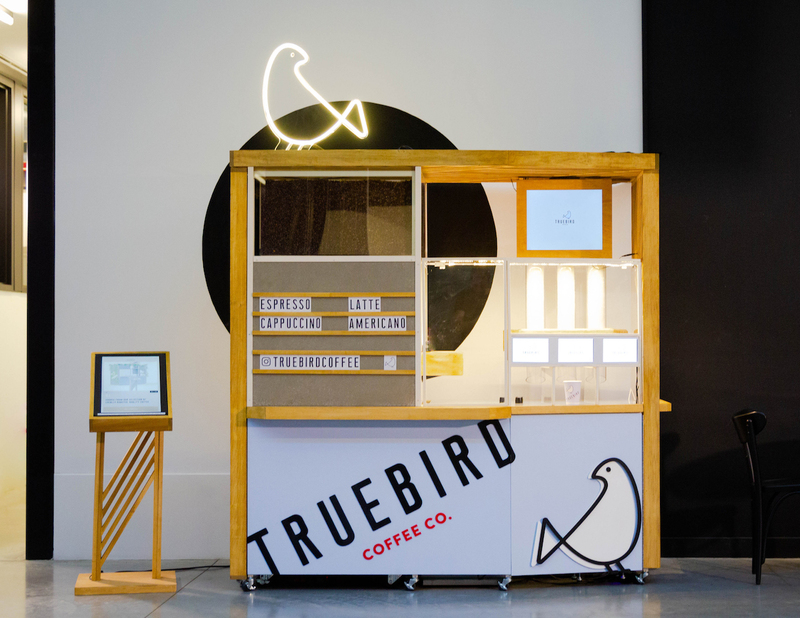 The Truebird coffee program, currently managed by Daniel Padgett, formerly of Supercrown Coffee Roasters and Black Fox Coffee, currently consists of coffees from Stumptown and Regalia. The system is programmed to perform custom recipes for each bean, including dose, final beverage volume and a target extraction time, according to Padgett. The machine goes through an automated calibration process every morning, then measures every shot’s extraction time as the day goes by and automatically adjusts the grind as needed to consistently achieve target volumes within a 3-second time margin. Truebird equipment, according to the company, occupies less than half the square footage of competing systems. It fits through standard doors and requires no plumbing for installation. For the rest of this year and next, Feuerstein said the focus will be growth in the New York City area.